World Power Ltd was formed in 2002 due to the requirement in the market for technically based electrical service company specialising in electrical systems and power generation. World Power Ltd is a service based company designed to provide complete electrical and electronic solutions for both land based and marine industries. Services extend from concept and design, material supply, project management, through to installation and commissioning. All our technicians are fully qualified and NZ registered offering our customers the peace of mind that the work will be carried out professionally to budget and within the time constraints. World Power Ltd operates a 24 hour emergency breakdown service with technicians travelling locally and worldwide at short notice. Located in the heart of Auckland's marine district Westhaven, next to the Pier21 hardstand, offers a convenient location for electrical services for commercial and recreational vessels. Being in the central part of Auckland this gives us the mobility and flexibility to attend our customers site or vessel. All staff are have fully equipped vehicles backed by a central based workshop with stock and test equipment. 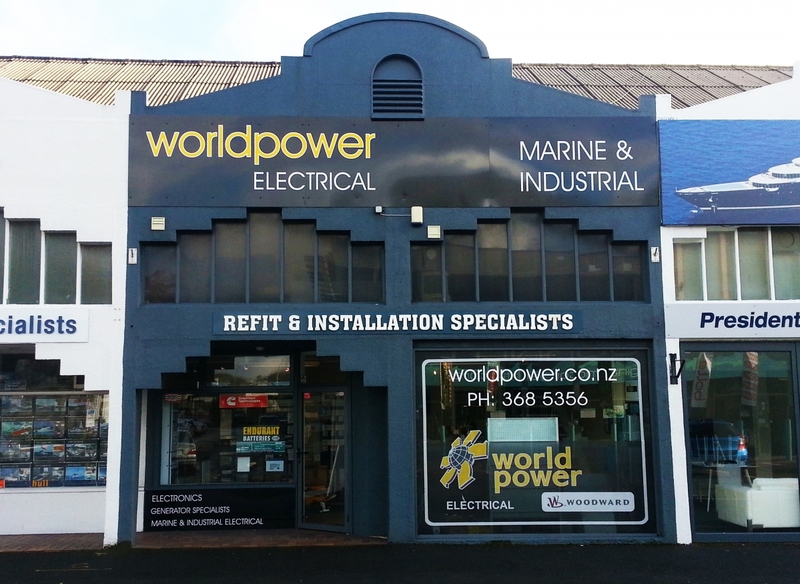 World power staff have access passes for all marinas in the greater Auckland area including Westhaven Marina ,Bayswater Marina ,Orakei Marina ,Pier 21 ,Gulf harbour Marina , West park Marina, Viaduct harbour and Lighter Quay , Half moon bay and Pine harbour.